I haven’t had time to blog since Sunday and I feel terrible I have neglected it. Then again the past two days have been a whirlwind of occurrences. After an early morning ER visit Monday and working a double shift on Tuesday, Wednesday has been my catch up day. Wednesday has been a whirlwind in its own right. She is growing and frolicking and learning I am not a monster who wants to eat her. Her mama is awesome too. 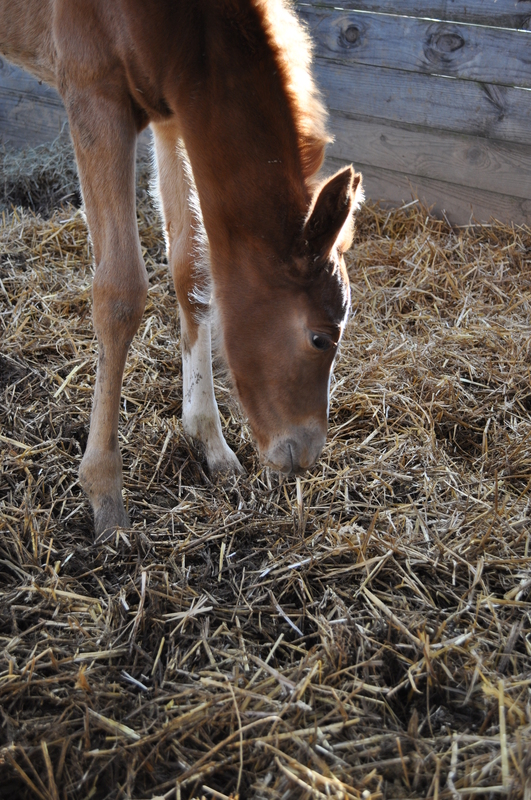 She was just a young horse until the moment that foal hit the ground and now she seems so majestic to me. She even tries to find something interesting in the straw. We let her and mama out in the larger turnout isolated from the other horses, for a few minutes in the sunshine. The other horses reacted crazy, to be expected. They waned to see the new addition more than we did. 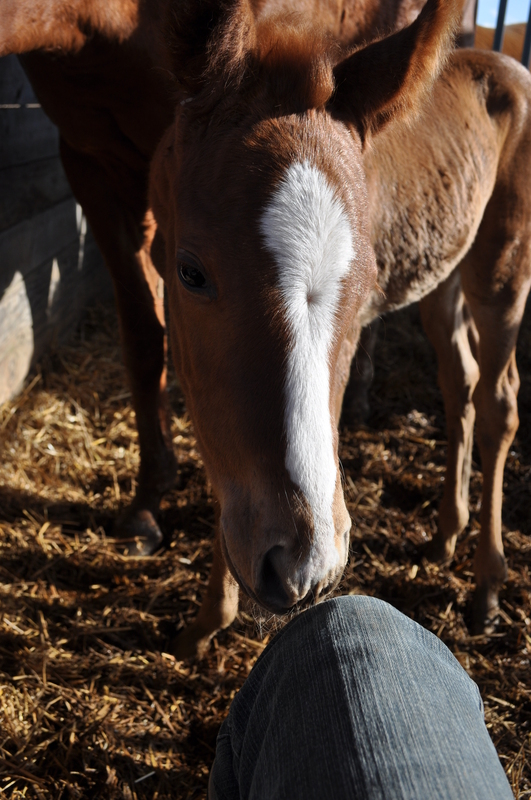 Mama kept her well away from the fences and tended to her with more care than any other mare we have. 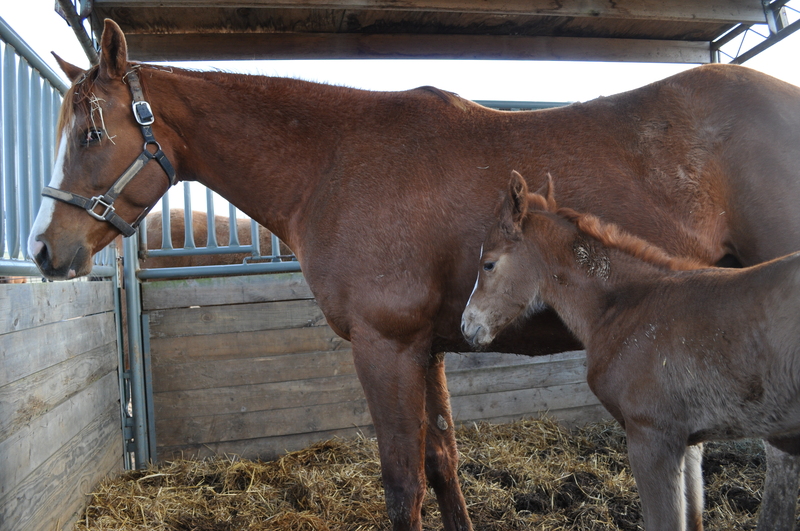 I was amazed at the attention she gave that foal. Of course it was impossible to document this on film as the 2 yr old filly really went bizerk and required intense stress management from the opposite side of the fence. 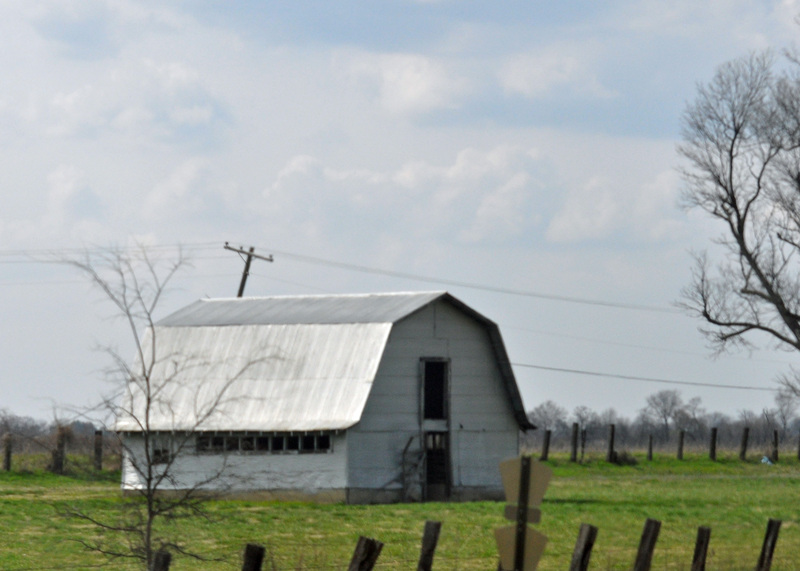 I also wanted to post some barns I found along the highway on our way to Alabama last weekend. I have developed a longing to snap old buildings. I love to imagine their history and for what purposes they were used. 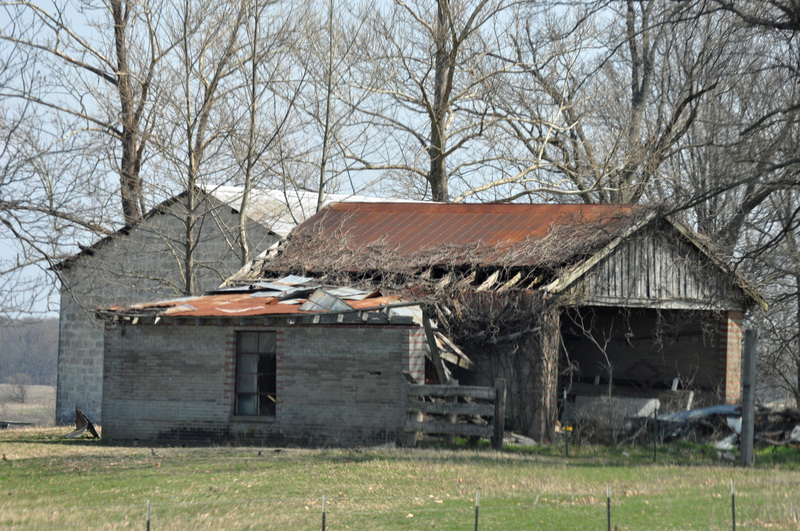 Granted, the buildings in this part of the country are not nearly as beautifully fashion as barns found in the northern part of the country. These here are designed for functionality rather than esthetics, but that is what intrigues me. Here are just a few. 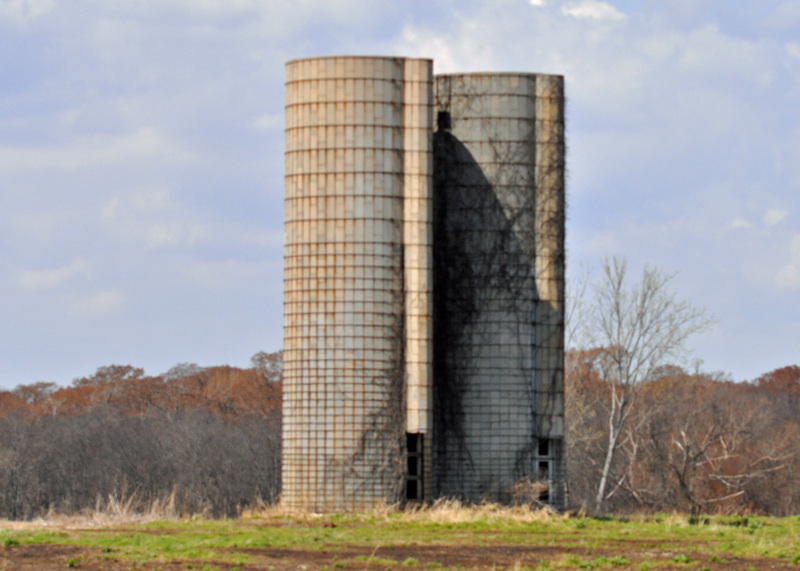 These silos are still standing after all these years. No grain silos are constructed with concrete anymore and these towers stand as a witness to the past. I love them. I think I was born a hundred years too late. I love old things. This was my little piece of heaven for today. 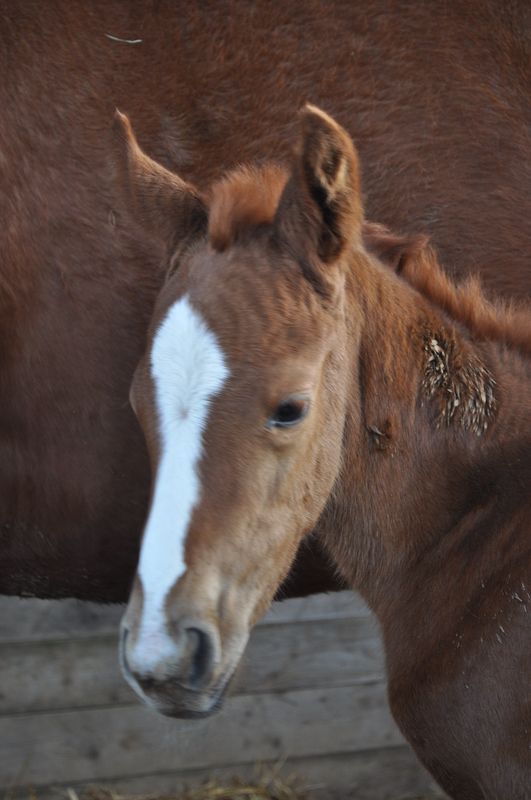 The new baby is adorable. I love old buildings too. It’s unfortunate that here in the states many times we tear down our history instead of preserving it. Thanks for sharing. Beautiful horses. I like looking at old structures, too. It’s unfortunate that they don’t last forever. i’m glad you love old things. i are is one.